From internal glass cleaning to external high reach glass cleaning, GCM Cleaning Services & Supplies Ltd have the answer. 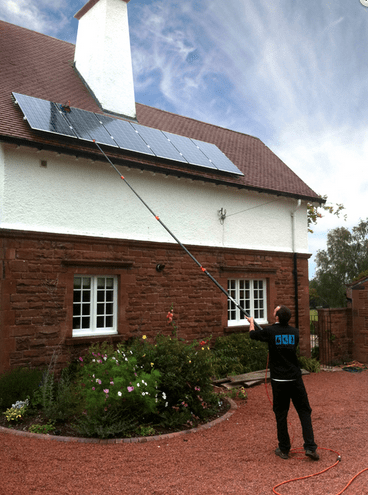 We can reach up to sixty foot externally using our state of the art reach and wash purified water system, this is a filtered and crystal water system which leaves your glass streak free and glaring for longer. No ladders are required, thus saving time and increasing efficiency and of course reducing risks to the window cleaning operator. Our cleaning contracts range from small office buildings through to large commercial, high-rise, office buildings & hotels and also apartment blocks throughout Dublin and the surrounding areas. At GCM Cleaning Services & Supplies Ltd, we take great pride in the relationships that we have built up with our business clients over the years. Our large network of office contract cleaners in the Dublin area means we can provide an unrivalled service to clients in the area. The way in which your offices are presented, speaks volumes about your company’s commitment to projecting an image of professionalism at all times. You need to ensure that your office environment is a safe and secure place for your staff to work. By using GCM Cleaning Services & Supplies Ltd, you can ensure that your staff are working in the best possible environment, and that your organisation can function at its optimal level of performance. 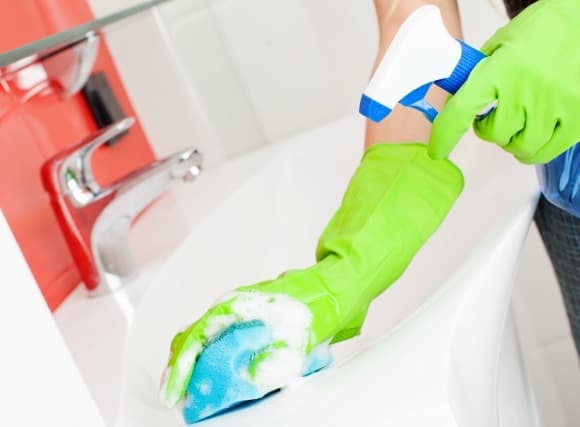 Our weekly and fortnightly home cleaning services are tailored to your requirements. Our cleaning staff are all CV vetted, experienced cleaners. They are trustworthy and honest and should the need arise, can be trusted with the keys of your premises which can be held at our main office, GCM Security Ltd, which is part of the GCM group. Having a clean, tidy car park is essential for creating a positive first impression. Illegal dumping of litter is a big problem in many car park areas and, as well as looking unsightly, it can be a health and safety hazard. Similarly, build ups of litter will make your car park look poorly maintained. This is why we include regular yard brushing and power jet washing as part of our car park maintenance service. Graffiti is also a real problem in many city, urban and rural commercial car parks and stand alone buildings and can be a threat to a company’s reputation if it isn’t removed quickly. To counteract the threat of graffiti, we offer a speedy removal service. With GCM Cleaning Services & Supplies Ltd, you have the comfort and reassurance of knowing you’re in the safe hands of an experienced, reliable and professional car park maintenance contractor.